That’s What I do, I drink & I know Things! Click here to avail Unlimited IMFL Drinks + 1 Bowl of fries/nachos for one, Just For INR 699 ONLY! Say Whaaaa! The Atrium Bar & Lounge, located at The Suryaa Hotel in New Delhi, serves enticing finger food that beautifully complement their collection of great wines from around the world. Featuring elegant interiors with plush furniture and contemporary open seating it makes for a great place to dine with your close set of friends or loved ones. 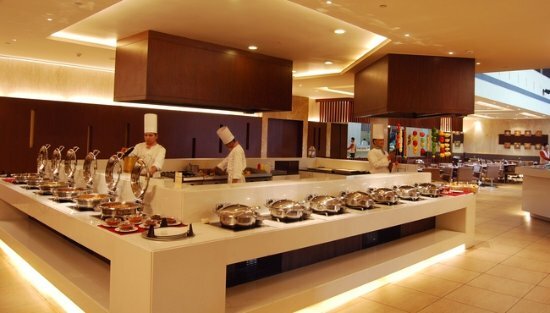 The restaurant’s staff is warm and cordial and offer speedy and efficient service. Bella Italia is situated within the premises of Holiday Inn at Aero City in New Delhi and serves delectable flavors of Italian cuisine and yummy fast food. Unwind with relaxing drinks in the classy and sophisticated ambiance while the warm and dedicated staff attends to you. Click here and get Sunday Brunch with Unlimited IMFL Drinks for INR 1799 only! Viva strives to be a lively place featuring dishes from around the world be it breakfast, lunch or dinner in a theatrical kitchen-style. The wide variety of North Indian, Asian and European delicacies are best sampled in a relaxing contemporary setting. The interiors are elegant and urbane with large glass window panes that add life to the restaurant during the day and dramatic lighting that takes over in the evenings. The culinary offerings are complemented by the choice between indoor and al-fresco locations and the efficient service that makes it a fine dining experience. Click here & relish Sunday Brunch + Unlimited IMFL Drinks/ Beer for Just INR 1799! Happy Brunching! Crowne Plaza, Gurgaon strives to create a luxurious experience for its visitors. Chandeliers shimmer high above the marble floor in the lobby and an eye-catching flower motif greets visitors at the front desk. Guests can relax in the infinity pool or spend time at the Fitness Centre. The hotel has versatile meeting rooms and huge gardens in which any event – social or corporate – can be held. ChaoBella is the in-house restaurant, serves Italian and Chinese. It sports a spacious-sophisticated ambiance with natural lighting. Click here & Make your date even for special by getting 2 Starters + Unlimited IMFL/ Beer for Just INR 2299! New York, the city of luxury! 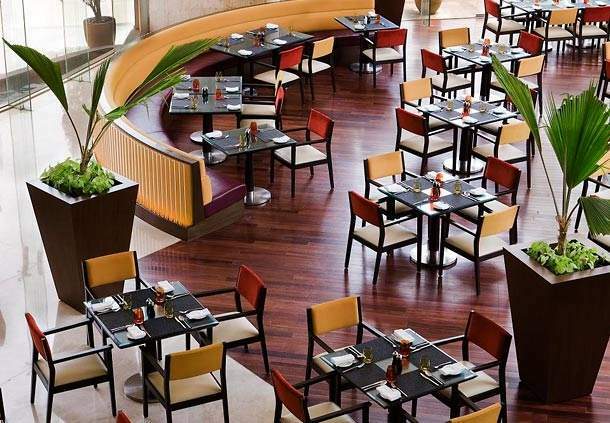 Get a taste of the same luxury with NYC, the in-house restaurant of Radisson Blu Plaza, New Delhi. They serve North Indian, Continental & Italian Cuisines. The Chef is highly skilled and makes scrumptious dishes that are tasty to the last bite. The staff is friendly, courteous and they make sure the customer is attended to. The ambiance is very chic with aesthetically pleasing décor and comfortable seating. Click here to treat yourself to some royalty, Sunday Brunch with Unlimited Beer/IMFL for INR 2454! Cheers! DRINK, DANCE & SHINE TONIGHT! Previous Post Pune Ladies, Aura Beauty World Is Offering Exciting Offers Starting At Just INR 499! Need We Say More? Next Post Hey Gurgaon! Taking Out Your Partner For This Lunch Buffet At INR 1295 Is One Way Of Expressing Your Love! !